Rendering: What the site of Toronto’s Galleria Mall may one day look like if a development application moves forward. A redevelopment deluge is hitting shopping mall properties across Toronto not only because of rising land values but also the threat online retailers are posing to bottom lines, an industry expert suggests. “I think that one of the big redevelopment waves right now are shopping centres,” Craig Patterson, founder and editor-in-chief of Retail Insider, an online trade publication, tells BuzzBuzzNews. “As real estate prices have gone up and developable land has become less available, I’m seeing shopping centre landlords looking at their shopping centre real estate as being prime land for intensification,” he adds. BuzzBuzzNews has identified eight Toronto shopping mall sites currently slated for such intensification, and that total doesn’t include properties in the nearby surrounding GTA, such as the Promenade Mall. Patterson says malls are a “gold mine” for redevelopment because of the GTA’s level of population growth as well as the fact that they are so often sitting on large, well-located sites to begin with. 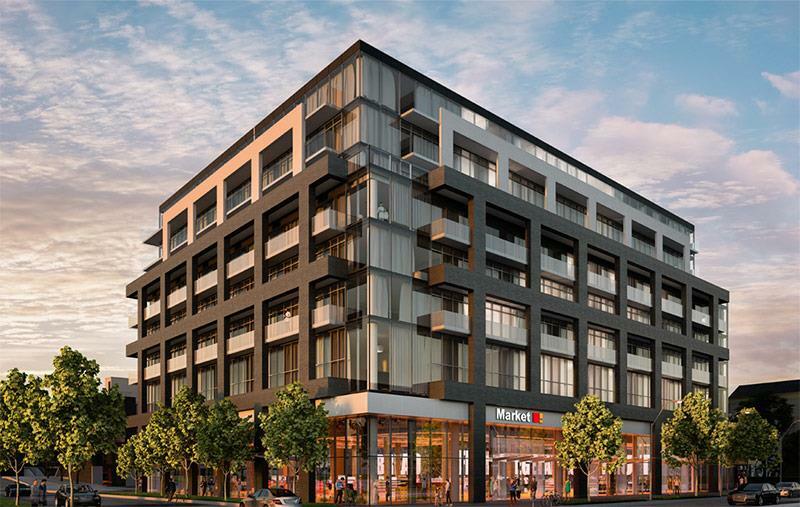 “Cadillac Fairview, Oxford, Ivanhoe Cambridge: these landlords are already getting in on the residential game — or they’re partnering with residential developers,” says Patterson. “A natural progression in the realm of shopping centres is for these large landlords that are out to make money to look at intensifying their shopping centre sites by adding housing and other uses to it,” he continues. 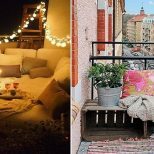 And although retail remains an “overwhelmingly physical experience” in Canada and the US, e-commerce continues to grow, and so mixing retail with condos makes a lot of sense, Patterson explains. Here are eight Toronto shopping malls that could see at least part of their properties converted into housing. 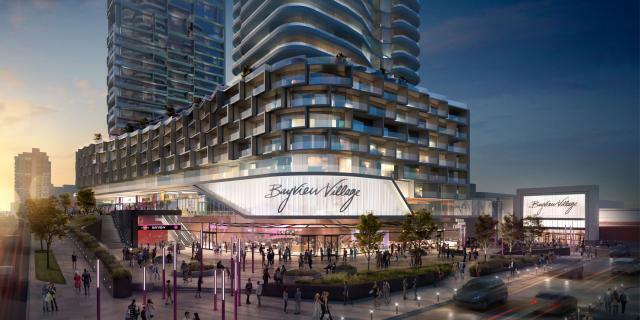 QuadReal, which handles investment manager bcIMC’s real estate assets, envisions an expansion of this mall at Bayview Avenue and Sheppard Avenue East, a plan that includes more than 1,100 residential units, additional retail space and pedestrian-friendly common areas. Dubbed Reimagine Galleria, Freed and ELAD Canada’s proposal is based on tearing the 70s-era mall down but would replace it — and its 700-spot parking lot — with even more retail square footage, 11 mixed-use towers containing 3,416 residential units and a brand new community centre and park land for the Wallace-Emerson neighbourhood. 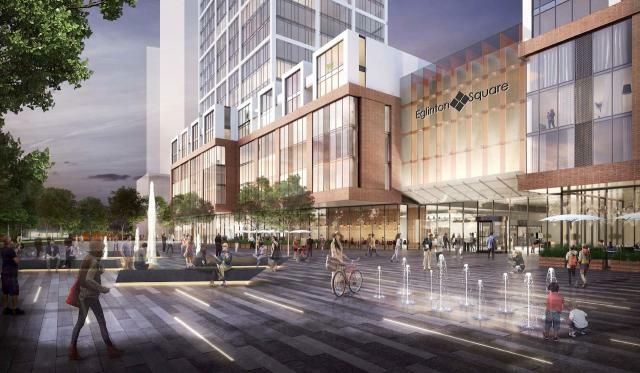 Kingsett Capital, the current owner of Scarborough’s Eglinton Square at Eglinton Avenue East and Victoria Park, wants to erect several mixed-use high-rise towers on underused parts of the large commercial plot of land. 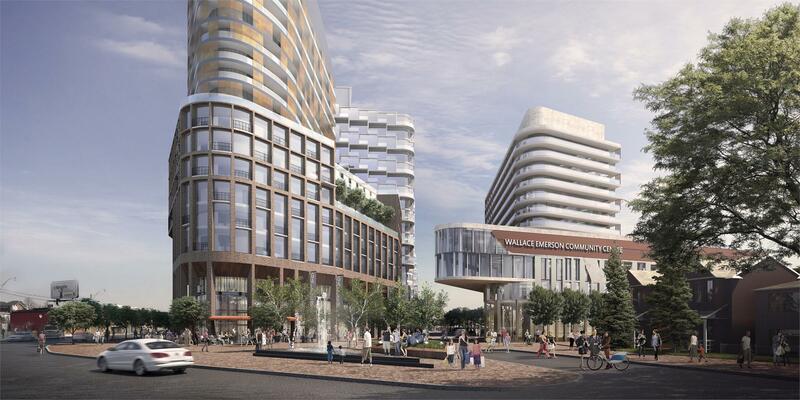 The existing Eglinton Square Mall would be maintained and flanked by more than 1,600 residential units. 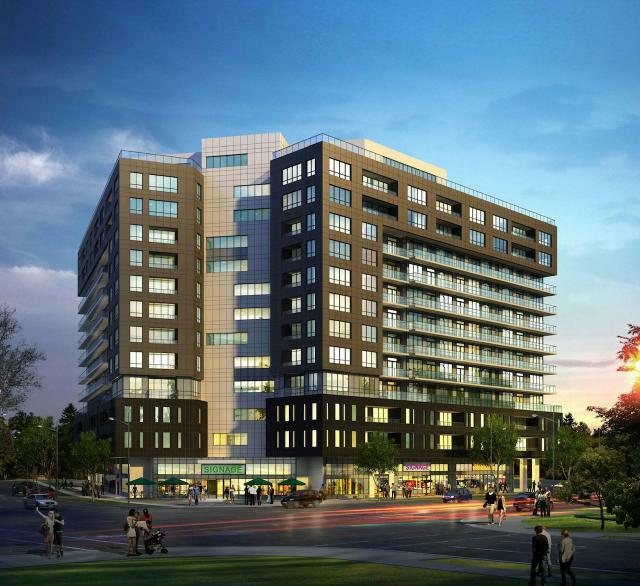 First Capital Realty and Tridel’s award-winning plan for the Humbertown Plaza transforms an Etobicoke strip-mall into a master-planned community, one that could boast new condos, townhouses and seniors residences amid community-based amenities like a day care, health club and, of course, retail. 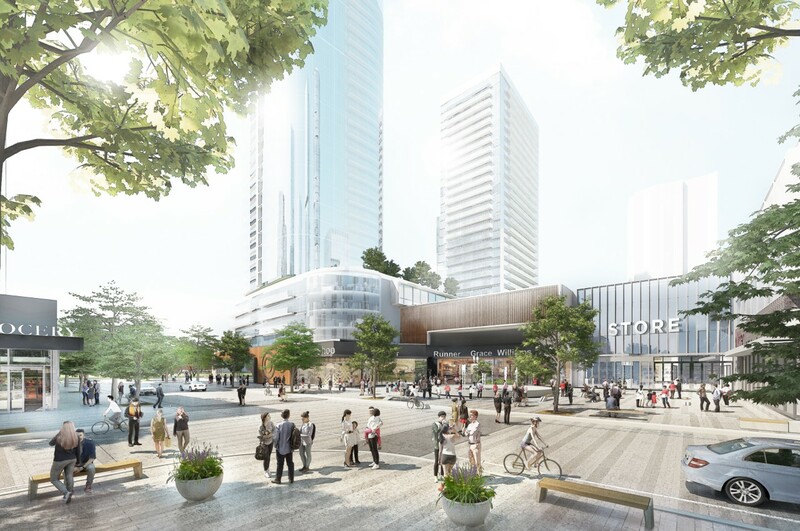 In May this year, Oxford Properties proposed three possible multi-phase mixed-use proposals for a chunk of Yorkdale Mall’s 14-hectare site, more than half of which is currently dedicated to surface parking. 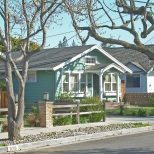 Considerations include retail, office, hotel and residential elements. 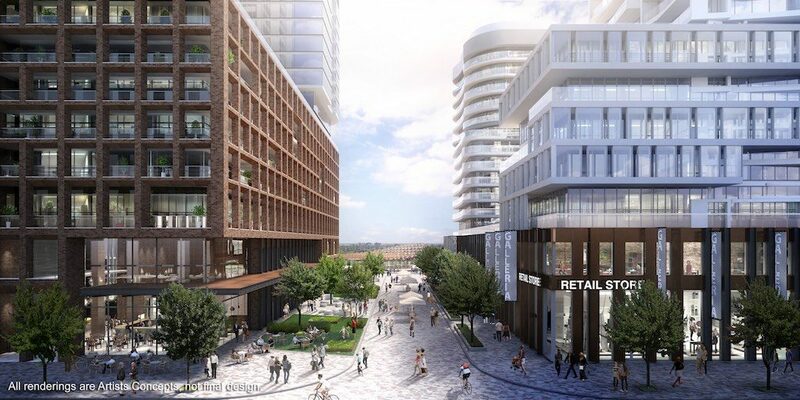 “They’re planning for the future and for uncertainties by saying that they need a certain level of flexibility within their design for Yorkdale so that they can be ready for the next big thing,” says Retail Insider’s Patterson. 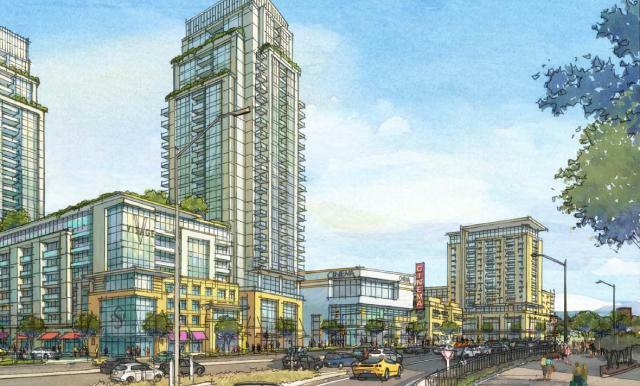 If completed, this redevelopment would add a 12-storey residential tower (with retail at grade) to the Bridlewood Mall site at Finch Avenue East and Warden Avenue. 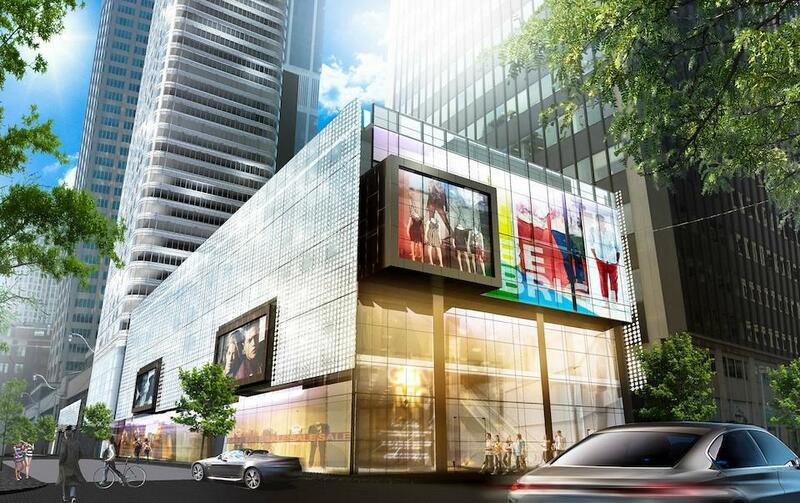 It’s among the more modest of the current mall-intensification plans taking root in Toronto. This derelict, three-storey mall in Yorkville is one small piece in a dramatic — albeit at this time only potential — reshaping by Oxford Properties of the immediate area. The site plan application, submitted in August 2014, features a 54-storey residential skyscraper with 575 units and much smaller two- and four-storey buildings with retail, parking and amenities. North American Development Group plans to raze the aging Scarborough Mall in favour of a new, 26-acre mixed-use community. 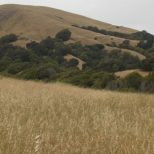 The builder plans to bring 250,000 of retail space alongside a public park and residential units.